Placed underneath your vehicle the car exhaust system is primarily responsible for getting rid of the harmful emissions produced during the combustion of the fuel in the engine. The exhaust system is composed of the tubing and piping. Its manifold receives the emissions from the engine and takes the gases to the front of the exhaust through the catalytic converter. The catalytic converter then transforms the harmful gases into less harmful by-products that are released into the atmosphere. The system also has a muffler that cancels out the loud car noise. 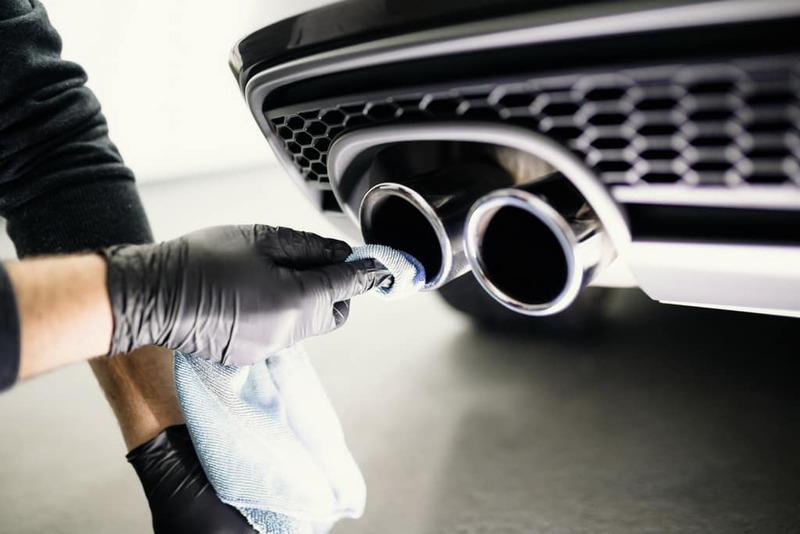 Given the importance of the system, that is why we, iAUTOHAUS, your ultimate exhaust system repair in Arizona goes the extra mile to ensure that your exhaust system is working well. At iAUTOHAUS, we perform exhaust system repair services for luxury European cars in Arizona. We are ASE-Certified technicians at our BOSCH authorized service center. Bring in your BMW, Land Rover, Jaguar, Mercedes Benz, or Porsche today so we can help you with your high-end vehicle. 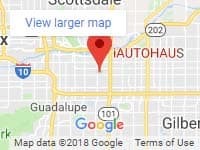 Schedule exhaust system repair services for your luxury vehicle in Arizona with iAUTOHAUS today! If you notice some vibration when running the car or coming to a stop, it could be as a result of a hole, a leakage or a disconnection in the exhaust system. The noise may be followed by some rumbling if there is a large damaged area. We inspect to iron out any exhaust problem. If you hear a noise like someone shaking a metal box filled with pennies when the car is idling, it may be a problem with the catalytic converter system. Some car models also light up the check engine warning on the dashboard. In addition to other problems, your car exhaust system damage may cause fuel inefficiency in your system. When there is a leak in the exhaust system, the motor tends to work harder, thereby, consuming more fuel. Let us inspect the exhaust system as part of the diagnosis. How much does it cost to repair my car’s exhaust system? The exhaust system repair cost in Arizona depends on the make and model of the car. We offer affordable exhaust repair service for any car model. Our services are of high-quality services despite the low cost. Stop wondering.” where can I get exhaust system repair near me.” Contact us today, and you will have your vehicle exhaust system repaired in no time. We are speedy, reliable and available throughout the week. Do not wait until the car’s exhaust system is damaged beyond repair or cost a lot to replace. Have it inspected and repaired promptly by our expert engineers. We can also help with other car repairs at our auto shop. Call us today and breathe in a new life into your car’s exhaust system.